This is not your regular G310R rend with full fairing. This is a special project done by Aetek, famous for its exterior parts. Aetek is famous for making exterior body parts and full cowls. 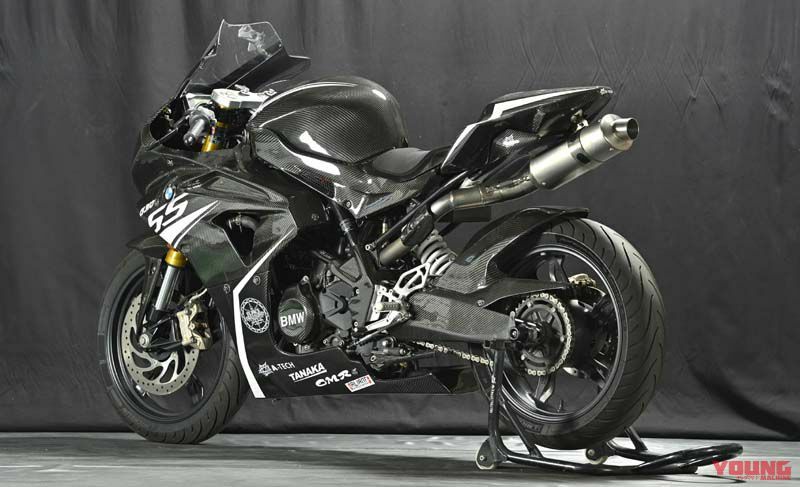 The main idea they had in mind was to create a “baby version” of BMW’s strongest super sports S1000RR. 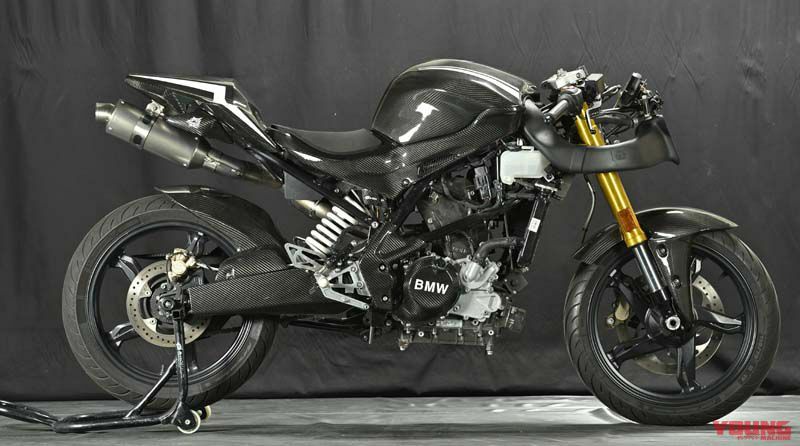 Made from light weight carbon fiber the bike looks so much similar to S1000RR, with the asymmetric side panels and taller windscreen. Between the headlights there is an ram duct same as in S1000RR. Although the twin headlamps are not asymmetric and is just a sticker. The exhaust goes beneath from the rear seat. The windscreen is tall so that the body hides when lying down. The engine is same as the G310R with its different layout position with “front intake & rear exhaust” which is opposite to the normal machine. So ram air supercharging helps in maximizing the use of forward intake. The 313cc single cylinder, liquid cooled engine offers 34 bhp at 9,500 rpm and 28 Nm of torque at 7,500 rpm mated to a 6-Speed transmission. The battery is made of Italian ALIANT which is lightweight and high performance. 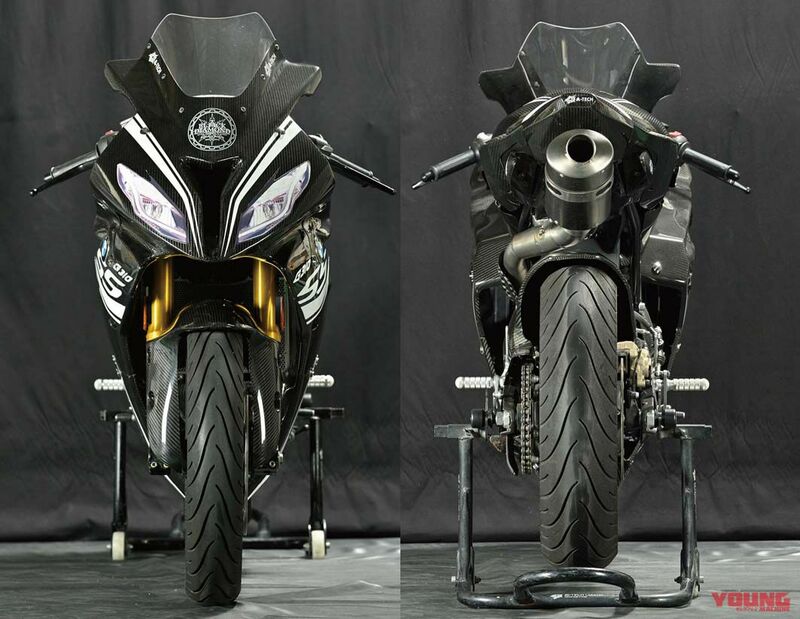 Aetek said that it took around 2 months to prepare this baby S1000RR. Aetek plans to sell road version of the bike at a later stage and even sell individual parts. Though BMW has no such plans of making a fully faired version of BMW G310R. But looking at Aetek G310SS if BMW ever plans to make it, it will provide great competition in it’s segment. As of now you can only buy the BMW G310R or TVS RR310 if you want BMW’s engine in a fully faired body and don’t care much about the badge.